Facilities : 300-bed children's hospital. The 300-Bed Yalta Children's Hospital is located on a site with an average of 30% slope. It consists of a continuous building with a basic triangular modular block repeating five times and a U-shaped central block, all making one megastructure. There are two more blocks at the north end of the site. 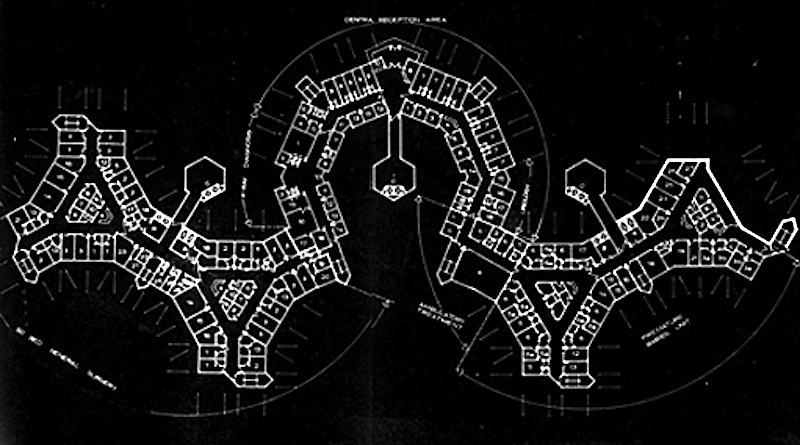 The hospital complex has been conceived as a series of modular blocks housing different departments.